The Website & SEO Assessment services provided by WebVisable is designed to give clients an in-depth critique of their site, identifying areas where improvements can and must be made. The Site SEO Assessment search engine optimization service enables clients to quickly learn the factors search engines deem important when ranking their website. This Internet marketing service produces a detailed report of (commonly) 10 to 200 pages depending on the size and complexity of your website evaluating major organic search engine ranking factors that are not being properly implemented on your web site. The Website SEO Assessment Services enables clients to quickly learn what the search engines consider important when ranking websites and where improvements are needed. We will identify barriers to organic ranking and critical issues that are hindering the entire SEO marketing project. In complex projects, this analysis is very often the first step of many. It first identifies the barriers to SEO that should be repaired immediately. This report takes approximately two to four weeks to research, write, and produce. There will be updates during this time as noted below. The SEO assessment will begin with a Discovery Interview where we will speak with you to familiarize ourselves with your business model, target audience, and business goals and objectives. The interview will be conducted through a scheduled conference call between you and a WebVisable SEO Analyst. Following the Discovery Interview, a site review will take place. During this review, we will review and evaluate your site from an organic search engine optimization perspective. The purpose is to breakdown the site, identify potential areas for concern and provide recommendations on how to correct them. The review and evaluation will incorporate topics such as site architecture, page construction, web server configuration and link popularity. While we are performing this research we generally uncover many simple-to-repair issues impacting your site SEO performance. At approximately two weeks we will produce a short “engineering” report citing the items that you can start on repairing. We begin correcting these issues immediately as they are both critical and fundamental changes in our SEO process. Following our detailed research, an SEO Assessment Services Report will be constructed to discuss issues that need to be resolved in order to improve your search engine rankings, as well as to give suggestions and instructions on how to fix them. This report resolves symptoms into problems, then details each problem, why it matters, specifies a solution, assigns a severity, then prioritizes each. A prioritized list of recommendations will conclude this document. This is NOT just an audit! An audit commonly lists issues, may link to resources, but an audit seldom gives a comprehensive and very detailed solution. Our research covers hundreds of tests and review topics and has met with great success. 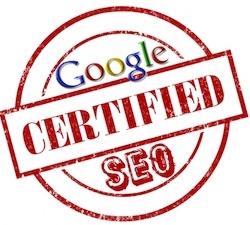 Many clients have received SEO Assessment Services, and have ordered more for their other businesses and websites. 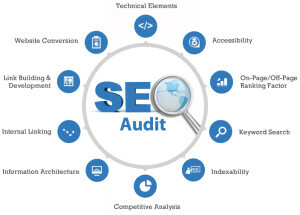 Our view is that a SEO audit is a start, but a SEO Assessment is what moves the number. All Website & SEO Assessment Services also allows you to experience our search engine optimization consultation services. You will be allotted time for follow up consulting to discuss your site with your WebVisable expert in order to cover the items in the Assessment. Your expert will work with you and give you verbal and written recommendations for what we meant, and potential additional ways to improve your site’s search engine placement.